Make this Christmas unforgettable when you present him with a wonderful selection of collectible wine each month. Bring a little romance to your holiday season with cigar and wine gifts for boyfriends. 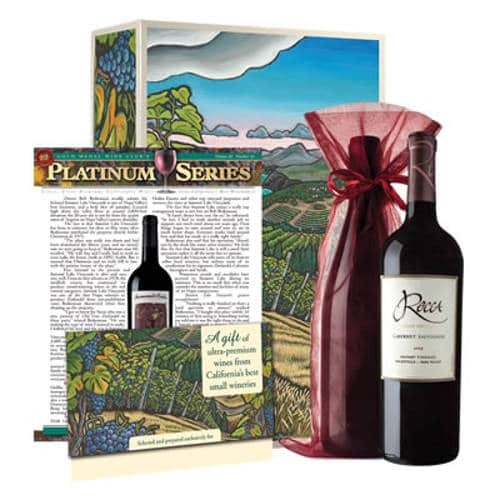 The Platinum Wine Club- a favorite among wine connoisseurs and novice wine drinkers alike, features premium hand-selected, 90+ rated wines from some of the top winemakers in Oregon, Washington and California. You and your boyfriend can experience magnificent pre-releases, and even exclusive blends that are made available only to Gold Medal Wine Club customers. I would like this to gift to my daughter and son in law as they are wine lovers. They dont ever buy wine for themselves though because one of their three kids always needs something and they always put tbeir kids first. This would be such a treat for them every month for a whole year! Thank you for the chance!